Even the healthiest of people get sick every now and then. But by fine-tuning certain aspects of your health routine, such as diet and stress management, you can help strengthen your immune system's defense against bacteria, toxic chemicals, and viruses that cause conditions like the common cold and flu. Here are five ways to support your immune system naturally. Following a diet rich in antioxidants is essential to supporting your immune system. Abundant in many fruits and vegetables, antioxidants combat free radicals (chemical by-products known to damage DNA and suppress the immune system). Choosing healthy fats (such as the omega-3 fatty acids available in oily fish, flaxseed, and krill oil) over saturated fats (found in meat and dairy products) may help increase your body's production of compounds involved in regulating immunity. For an additional immune boost, try adding garlic (shown to possess virus-fighting and bacteria-killing properties) and ginger (a natural anti-inflammatory) to your meals on a regular basis. Drinking plenty of water and steering clear of sugary beverages, like soda and energy drinks, may also help fend off infection by flushing out your system. Working out regularly can mobilize your T cells, a type of white blood cell known to guard the body against infection. In a 2006 study of 115 women, participants who engaged in moderate exercise (such as brisk walking) for an average of 30 minutes daily for a year had about half the risk of colds as those who did not work out routinely. Regularly engaging in intense, vigorous activity like running, on the other hand, may weaken your immune function and leave you more susceptible to viral infections. However, animal-based research suggests that supplementing with the antioxidant quercetin could reduce flu risk among athletes. Chronic stress can have a negative impact on immunity, according to a 2004 review of 293 studies with a total of 18,941 participants. The review suggests that while short-term exposure to stressors can rev up your immune defense, prolonged stress may wear down the immune system and increase your vulnerability to illness. To keep your stress in check, incorporate a relaxing practice like meditation, yoga, or deep breathing into your daily routine. Or try tai chi, a gentle Chinese martial art found to increase immune defense against shingles in a 2007 study of 112 older adults. Simply keeping your hands clean is one of the best ways to ward off illness, according to the Centers for Disease Control and Prevention. Make sure to wash your hands for 15 to 20 seconds (using warm water and soap) before preparing food or eating and after coughing, sneezing, using the bathroom, or touching public surfaces. Another healthy habit vital to preventing sickness is getting a full eight hours of sleep each night, which may help regulate immune function. Although scientists have yet to determine whether vitamin C can enhance immunity, there's some evidence that this antioxidant can reduce cold incidence. 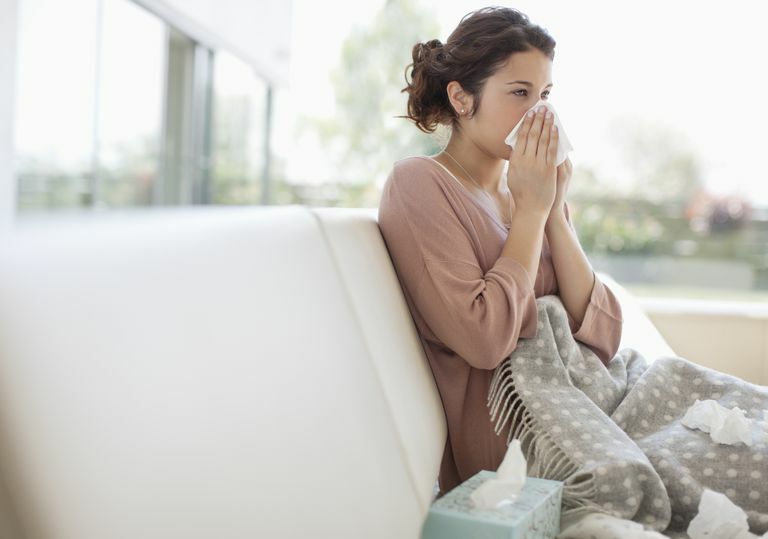 Herbs such as Andrographis, AHCC, astragalus, echinacea, and elderberry, meanwhile, may help reduce the duration and severity of your sickness if taken as soon as you start to experience cold or flu symptoms. Keep in mind that scientific support for the claim that any remedy can prevent or treat colds and other infectious illnesses is limited. If you're considering the use of any remedy, make sure to consult your physician first. Self-treating any condition and avoiding or delaying standard care may have serious consequences. Calder PC. "Polyunsaturated fatty acids, inflammation, and immunity." Lipids 2001 36(9):1007-24. Chubak J, McTiernan A, Sorensen B, Wener MH, Yasui Y, Velasquez M, Wood B, Rajan KB, Wetmore CM, Potter JD, Ulrich CM. "Moderate-intensity exercise reduces the incidence of colds among postmenopausal women." American Journal of Medicine 2006 119(11):937-42. Davis JM, Murphy EA, McClellan JL, Carmichael MD, Gangemi JD. "Quercetin reduces susceptibility to influenza infection following stressful exercise." American Journal of Physiology - Regulatory, Integrative and Comparative Physiology 200;295(2):R505-9. Irwin MR, Olmstead R, Oxman MN. "Augmenting immune responses to varicella zoster virus in older adults: a randomized, controlled trial of Tai Chi." Journal of the American Geriatrics Society 2007 55(4):511-7. Irwin MR, Wang M, Ribeiro D, Cho HJ, Olmstead R, Breen EC, Martinez-Maza O, Cole S. "Sleep loss activates cellular inflammatory signaling." Biological Psychiatry 2008 15;64(6):538-40. Suzanne C. Segerstrom and Gregory E. Miller. "Psychological Stress and the Human Immune System: A Meta-Analytic Study of 30 Years of Inquiry." Psychological Bulletin 2004 130(4): 601–630.